But since ice cream is so “cool” (pun totally intended) and popular; not only does it have a day but a whole MONTH in its honor! Since July is National Ice Cream Month I thought it would be fun to share some ice cream recipes all this week. I hope you won’t mind, I know I won’t!! Today’s recipe is a crazy one I tell ya!! First you don’t need an ice cream maker to make it (which is true for all the recipes I will share this week since my ice cream maker is in storage right now, boo hoo!) AND this ice cream is healthy! I know what you are thinking, how is that possible? 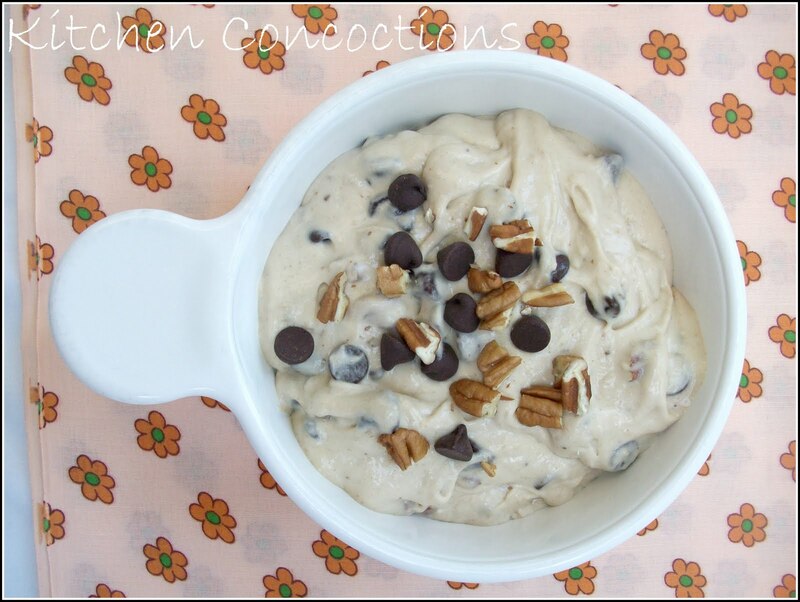 Well, instead of cream and sugar, frozen bananas are blended in a food processor to make the base for this ice cream! C-A-RAZY!!! And the fact that this has the texture of ice cream and tastes so good makes me kinda forget that it is healthy and justifies the fact that I ate this for breakfast 3 days in a row! Note: This recipe calls for frozen bananas so plan ahead. I already keep frozen sliced bananas in my freezer to use for smoothies so this is something I already have on hand! Slice bananas into 1/2 inch slices and place on a small cookie sheet and freeze for several hours. Put the frozen banana slices into you food processor and puree until creamy. Scrape down the sides if needed. It may take a few minutes for it to all get creamy. Add the peanut butter and honey. Puree until mixed in. Fold in the nuts and chocolate chips. Enjoy immediately or place in a container in the freezer until ready to enjoy! adapted from Real Mom Kitchen. 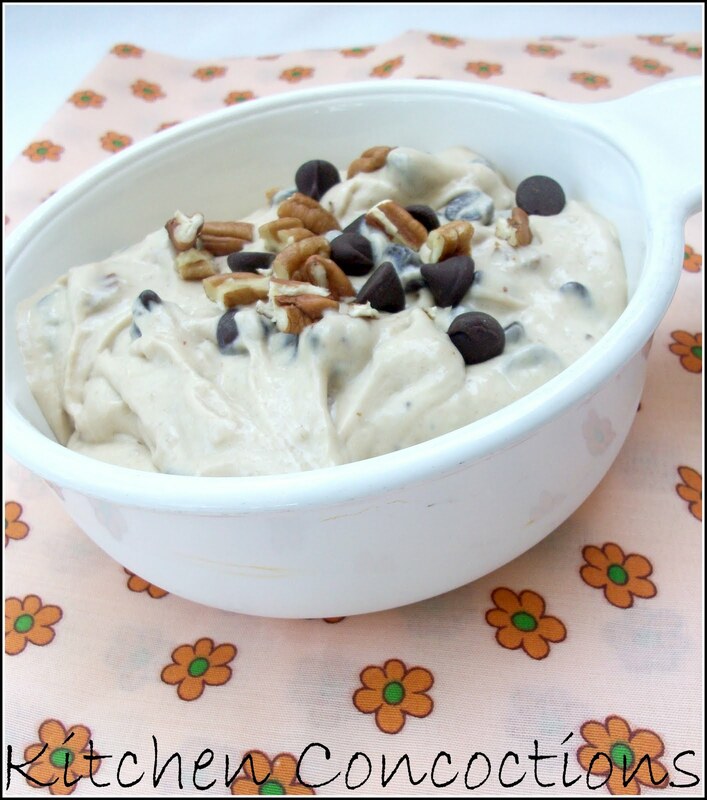 This post is being linked to Life as a Mom: Ultimate Recipe Swap: Desserts. « Happy National Ice Cream Day!! This looks so fantastic! What an easy way to make icecream. Thanks! We are def going to have to try this! It looks soo good!